Elderly resident was left severely bruised from a fall. An Aberdeenshire care home has apologised after a 78 year old resident fell from the toilet while suffering a seizure at Sunnybank Care Home, Cruden Bay. The residents family claims that no-one from the care home called to let them know about the incident. Meallmore Ltd, which runs the care home, said the lack of contact was “unacceptable”. In the post on face book, her family did not find out about the fall until nine hours after she had been taken to hospital, and even then they were only told after calling Sunnybank themselves. Former Social Work Task Force chair Moira Gibb has been appointed as the new chair of Skills for Care and the National Skills Academy for Social Care, which merged last month. Moira will take on the role in November, when government adviser David Croisdale-Appleby will step down after serving the maximum of two three-year terms as chair of Skills for Care. Jo Cleary stepped down as chair of the skills academy after the merger was announced in April. All Heads of Adult Social Care Inspections appointed. Eleven new Heads of Adult Social Care Inspections have now been appointed to support the directorate in transforming the way adult social care services are regulated and inspected. Andrea Sutcliffe has been appointed as the Chief Inspector of Adult Social Care and joined the CQC in October. She has nearly 30 years’ experience in health & social care managing a range of services including those for children and older people. 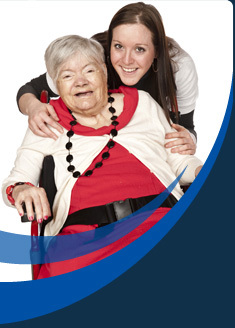 She joined CQC from the Social Care Institute for Excellence (SCIE). In what seems to have been a very busy 2012 we have once again come round to that time when nominations have opened for our National Safety in Care Awards 2013. Just think across all those people you work with throughout the year in your organisation, in a partner organisation or an associated agency. Chief Executive of (CQC) resigns.